Adding pads to a digital DJ setup: here, the new Kontrol F1 hardware, with its colored matrix of pads, nestles in between more conventional mixers and decks. Image courtesy Native Instruments. Native Instruments had already revealed that it would add new hands-on remixing capabilities to its flagship DJ hardware and software line. 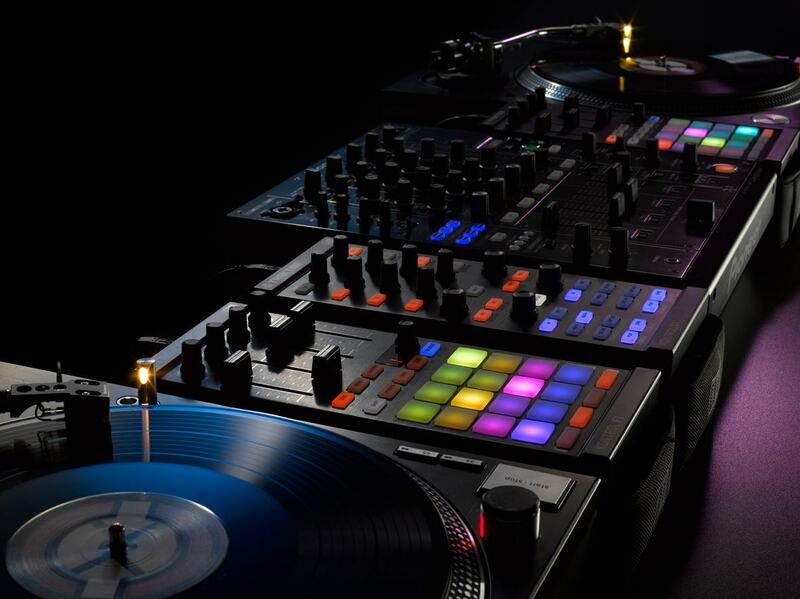 But today, we get to see precisely what form that will take, with a grid of light-up, colored pads that seek to make DJing with Traktor as much about remixing tracks as playing them. The function of the touch-sensitive, light-up LED colored pads is a bit different from similar offerings, as well. Any light-up grid of pads will recall hardware for Ableton Live and devices like the ground-breaking monome grid controller. As with the Ableton solutions, those F1 pads do indeed launch clips, as well as everything from full tracks to loops and one-shot samples (samples that play once without looping). These triggers act as shortcuts, too, however, with settings like Punch mode, effects assignment, and sample muting mappable to the matrix of pads, too. There are 16 pads, as on iconic hardware like the MPC, but you can scroll through pages on an encoder. You can also trigger functions like Sync, Quantize, Sample Size, and Reverse. As such, the F1 is a bit like a compendium of everything we’ve seen in grid controllers. 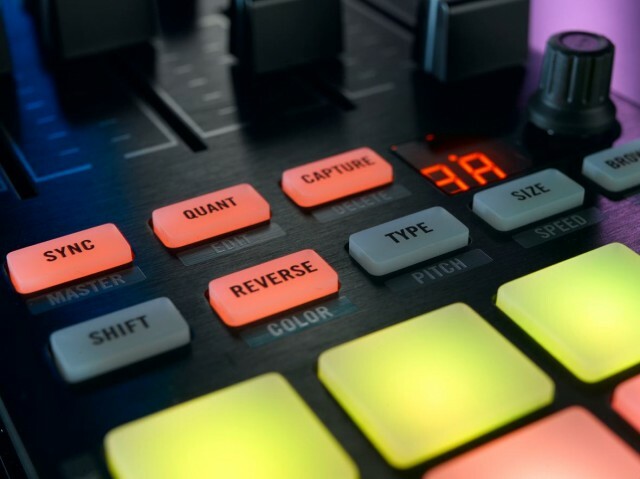 You could treat it like an MPC with more conventional samples, you could treat it like Ableton’s Session View of clips, or use it as a set of shortcut keys as we’ve seen in hardware like DJ Tech Tools’ MIDI Fighter – or some combination, or more than any of those things. In case you don’t want to combine this with another controller – perhaps hoping to squeeze into cramped quarters in a DJ booth – there’s also a set of four volume faders and four filter knobs. 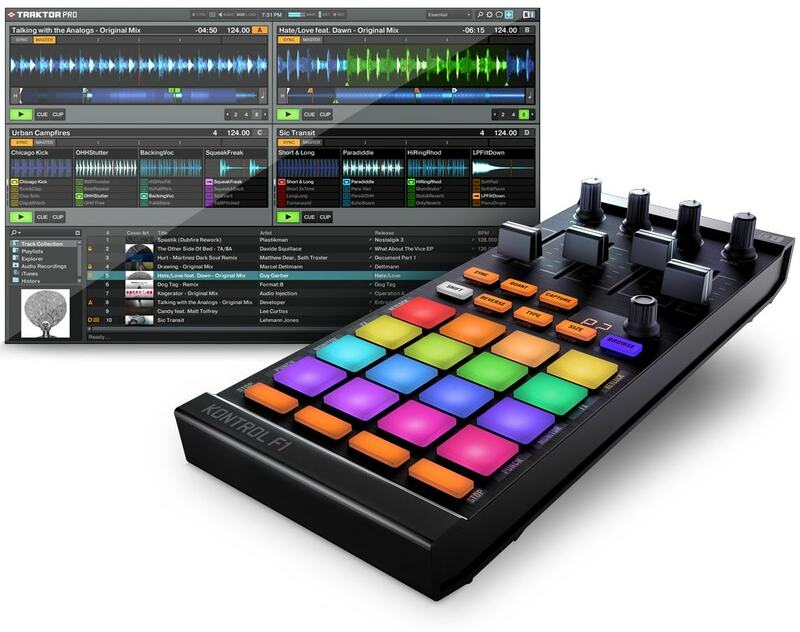 Kontrol F1 is both a software and hardware release – the controller, of course, but also accompanying (and bundled) Traktor Pro 2.5 software, whose new Remix Deck features will be available to all Traktor Pro users as a free update. Image courtesy Native Instruments. Traktor Pro 2.5, showing off those new decks. Photo courtesy Native Instruments. To me, it’s really the combination of those sampling-style functions with DJ-style decks that are interesting. The moment you bring the deck metaphor back, you’re re-entering a realm that’s more comfortable for DJs. On the other hand, all this remix business could finally bridge some of the gap between DJ software and production tools for producers who find themselves juggling both roles. We won’t get shipping hardware until May 30, but I hope to talk to NI more about it before then. US$279 / 249 € is the full price. Given that comes with a full copy of Traktor Pro 2.5, I’m not sure if the software has become free or controllers are becoming standard dongles for software. There are also 4 GB of pre-remixed sound content to get you started. 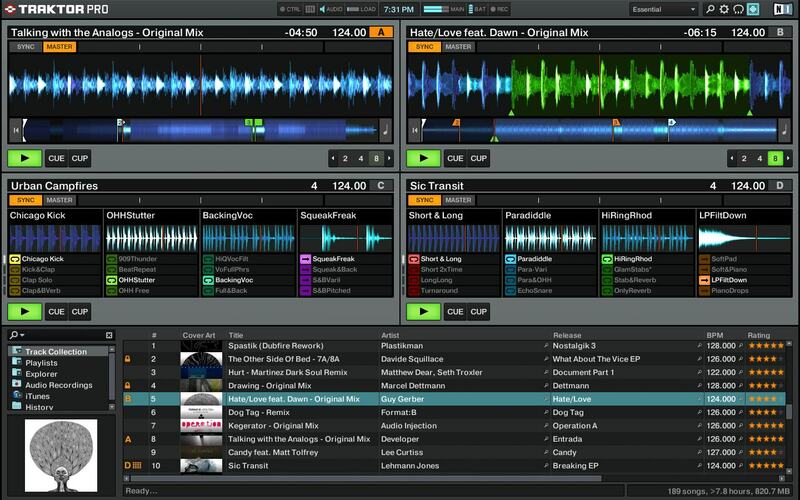 You existing users of the Pro hardware and software will get Traktor Pro 2.5 as a free update. NI is assuming you’ll use this alongside a mixer or their own S4 and S2 controllers, but it’d be nice to try to only use this, I must admit. Oh, and there’s also a new bit of luggage for it for when you hit the road. DMC champion (read: internationally-recognized) DJ Shiftee shows off the new instrument. I got to meet Shiftee through Dubspot, and the guy is an immensely-talented musician with an incredible sense of rhythm, as well as a supremely nice guy. Now, I want someone standing behind me shouting me on as I work. It’d sound a little different. “P.K.! P.K. here in X-Berg! Berlin, baby! It’s cold! It’s wet! You’ve got the granular reprocessor! You’re crunching up sensitive acoustic piano sounds! You’re making MeeBlip noises acid basslines, you’re coding now! You’re doing generative – what’s that? I think you’ve got a bug. You lost your 3D camera in your reactive Processing. And now you’re blogging, blogging, go hit the spell check. Add in that Oxford Comma. My boys, Struck & White.